Don’t you just picture this Workshop in your backyard or garden? This quaint little beauty is the perfect place to store your garden tools and lawn fertilizer. You will fall in love with its window shutters and classic Dutch doors. 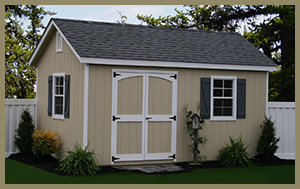 The Workshop is the ideal shed for garden convenience. 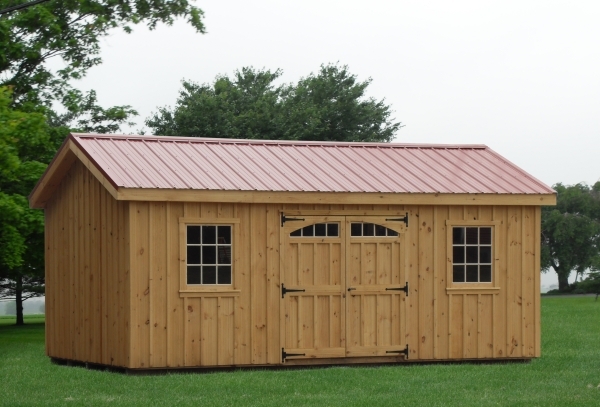 We can build in all dimensions or customize it as you wish. The construction is solid and make to last you a lifetime. Do not hesitate to come for a visit and see by yourself.